That is NOT my sewing room! THIS IS! I have a sewing room disaster! I did have things somewhat organized before the boomerang boy returned home. I had extra storage in the upstairs closet. He started taking stuff out and moving it into my sewing room and now I cannot see the floor AGAIN! I have book and fabrics, projects and sewing accessories, and just general STUFF all of the Sewing room! I cannot breathe! 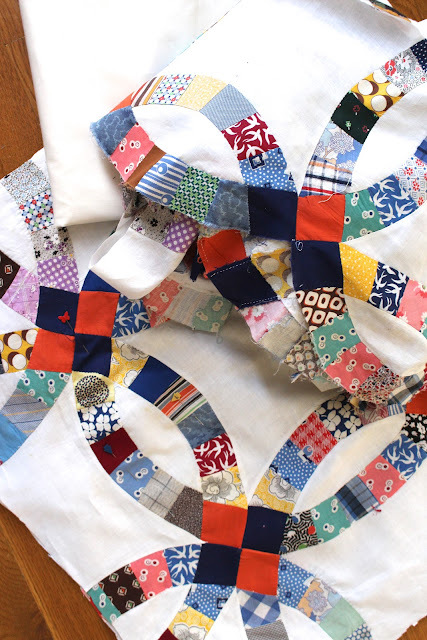 I also have this wonderful project to finish, hopefully to share on Friday :o) It is cut out and ready to sew! And my hands gave out when machine binding this recycled wool beauty but I WILL have it completed this week sometime! My list is full but for now I am off with the BB to IKEA to buy another Billy shelf to be able to get my sewing stuff where I can see it and at least feel more productive! Good to know that my reality is not the only one that does not mirror my Pintrest board of organized spaces! ;) Let us know how that extra shelf works out! My sewing space really has the same tendencies. However, it is usually just my doing ;) I am getting ready to dive into my first double wedding ring quilt. Please understand that those of us who have neatly organized sewing spaces (unfortunately without the light from heaven!) waste precious time cleaning instead of sewing! I just "need" a fairly organized space and that cuts into sewing time. But it's who I am so I roll with it. I hope you'll share your purchase from Ikea and how you used it. I have so much quilting stuff that I spend too much time looking for things so I'm trying to weed out and then will purchase a couple shelves or cabinets for containment. 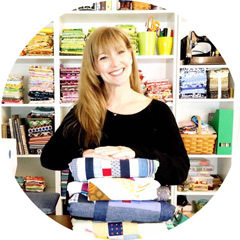 Thanks for sharing your true sewing space as it is right now. THANK YOU!! Now I feel a little more "normal". My sewing/craft room and office is always a mess. NOT because I like it that way, but because it's used all the time and in a small place, that equates to a messy room! :) Thanks for keepin' it real! I can totally relate to your sewing room...your wedding ring quilt will be a beautiful finish!